Below is a list of our recommended surveyors, seperated by location. Specialisation: Pre-Purchase, Damage, Insurance Renewal and Valuation Surveys. Sea Trials, overseeing repairs. Yacht Delivery. 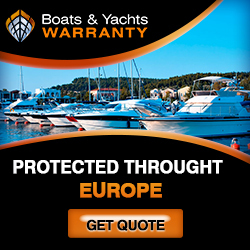 Sailing, Motor and Canal Boats up to 200 GT. MCA Coding Surveyor Level 2. Tonnage Measurer. Specialisation: Condition surveys for purchase, insurance/damage etc. Surveys of new steel vessels only. Tonnage Measurer. MCAMCA Coding Surveyor Level 2. Coding Surveyor Level 2. Marine Surveyor since 2004 being a member of IIMS as well as being an Associate Member of the Academy of Experts being included in the UK Register of Expert Witnesses. RCD Compliance being the UK arm of a Dutch Certifying Authority. Insurance Investigations as well as damage surveys. Particularly interested in Classic Yachts and restorations. Previous life in the Legal Profession (www. caselaw.solutions) enables me to give a service in respect of Marine Legal problems. Specialisation: All types of surveys for FRP, Steel and Wooden vessels. Ultrasonic thickness surveys. A list of our recommended surveyors, separated by location.